No matter how good a product is, quality installation is essential. RubberBond™ for your peace of mind is only available from Independent Approved Contractors who have passed a full installation training course. 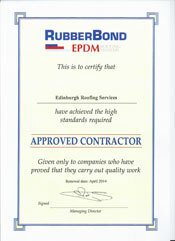 Installations are undertaken only by qualified organisations ensuring the reputation of both the RubberBond™ system and Approved Contractor. 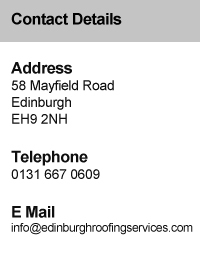 Below are pictures of roofing technicians employed by Edinburgh Roofing Services at the EPDM Training School undertaking the full installation training course. "As registered members of affiliates including The Confederation of Roofing Contractors, Construction Skills (CITB), Construction Line and the Consumer Protection Association any work we carry out is guaranteed for quality of workmanship."